Description – Embellishment or Info-Dump? How much description do you add to your story? Do you go into lyrical descriptions of the world surrounding your characters: that fantastic sunset, every detail of that market scene, the name of every bird that sings in the forest as your hero passes on his horse, or every blow in the battle and every drop of blood that falls? Or is it ‘Just the facts, ma’am’? I have been catching up on some reading. I have read two books, both long, both include a lot of description, but with very different results. Both are set in the Anglo-Saxon period. 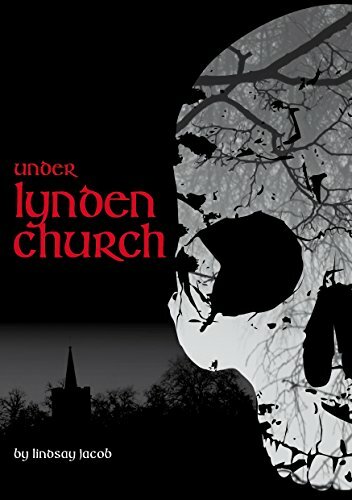 The first is “Under Lynden Church” by Lindsay Jacob. I am not sure where I first noticed it, but it was £2.64 on Kindle and looked interesting. It is partly set in modern times. An archaeologist finds a grave, deep below a village church, not far from Cambridge. It is connected, in a way not immediately apparent, to events in the ninth century. It is the time of the Danish invasion, but King Alfred is barely mentioned. This is East Anglia. King Edmund (later St Edmund) is dead. The last of the Wuffingas fights against the Danes, as well as the neighbouring King of Mercia. It was hard going, I seemed to be reading it very slowly – it was on my Kindle and the percentage counter never seemed to move. That was when I realised it was 545 pages. I struggled on. There is a lot of description of people struggling through the fens – I felt I was with them every step of the way. I soon wondered if I should give up, but a book has to be exceptionally bad for me to give up. I would go halfway then decide whether to finish it. At that point I was interested enough to carry on and eventually finished it. I was disappointed, because it could have been so much better. The author had found a good plot, she had obviously done a lot of research, but it was if she had then decided that was it and published everything, in the rough order of the plot, dropping in the “modern” part of the story at random. With a good editor it would have been half the length and a decent read. For example, the archaeologist meets someone in a pub and there are several pages of the man’s family history, from birth, through school, various jobs, his relationship with his wife, her affair with another man and how they now enjoy sitting at home watching television. It’s not even revealed by conversation and is completely unnecessary. On the other hand, characters are neglected, ignored for long periods of time, then reappear. Sometimes they have changed, with no explanation of why. Others remain the same throughout, never evolving from their first appearance to the end. I remember a scene of people returning from a battle. A woman is upset, her lover has died. It stopped me in my tracks – her lover? I scrolled back a couple of pages (yes, just a couple) She had arrived at the camp. They must have met because he was there, but there was no mention of a meeting, much less becoming lovers. Why waste page after interminable page of tramping through mud and then throw away such character development. If you want to keep reading, want to find out what happens to the characters, you need to know them. The characters were too alike. The men were all weak, downtrodden, miserable – apart from the nasty bullies. The women were all heroic – the main character (Emma?) leads the army. Is she the woman in the coffin? Perhaps not, because there are other woman just as worthy. I lost track of all the coffins and burials at the end.Was it the end, I wasn’t sure, and by that time I just didn’t care. After that, I had to read something else. as you need a glass of water after a large, slightly dry sandwich, all bread and little filling. Recently I was in the local library. I went there to do some local history research, looking up someone in a directory. To get to the local studies area you have to pass lots of books (they still have a few despite the effort nowadays to fill libraries with computer screens!). I saw a couple of interesting books and checked them out. This was how I used to read – go to the library – take out as many books as I could – read them – return them – take out more. I sometimes wonder how many books I’ve read over the years, whole series when I found one and liked it. Attracted by a title, not many had attractive covers when I was young, not in the adult section anyway. The book I took this time was one I had seen mentioned, a review in the paper? A blog or website? Somewhere I had noticed it. This was another Anglo-Saxon book, but set much earlier, in the seventh century, in Northumbria. A popular time and place. 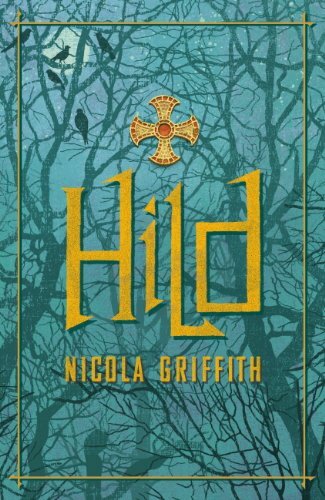 The book was “Hild” by Nicola Griffith. It was also long, 640 pages in the Kindle version and costing £6.99. The library book was 625 words and of course, free. Hild is the story of St Hilda of Whitby. Her early life, from the age of three to… I’m not sure of a her age at the end, late teens? Long before she became a nun and abbess. Hild was the niece of King Edwin. Her mother brings her up as a seer, she becomes adviser to the king, but it is a precarious position. What will happen to her if she fails to tell him what will happen? There is nothing supernatural about this. An intelligent girl, she trains herself to watch everything and everyone. She roams the countryside, watching the animals, learning about plants, witnessing the weather. As part of the court she watches people, what they think, how they react, how to behave and how to influence them. The royal court moves regularly. She learns about the different places and watches as they change. Over the years religion changes. Paulinus comes to the north with King Edwin’s new wife. 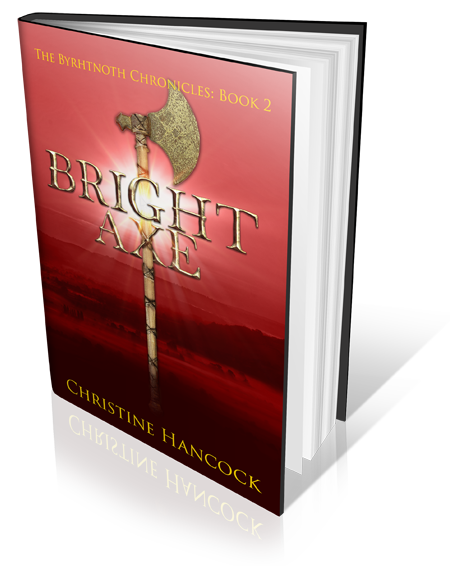 He is determined to convert the pagans to Christianity – his brand of Christianity. He hates the Celtic monks and tries to destroy them. All the time Hild watches, judging, is this new religion good or bad? How will it affect the Kingdom? Apart from politics, Hild works with the other royal women, in the weaving shed and dairy. With her mother and the queen she helps to set up trading links, both within the north but further afield. She grows tall, she trains as a warrior, she carries a seax. People fear her because they do not understand her. Her fear is losing the people she loves. She fights to protect them – sometimes violently. There is much description, but nowhere is it superfluous. The reader stands at Hild’s shoulder, learning with her. The places and countryside, the details of everyday life, what women do, and men. I learned so much of life at that time. I think I will have to buy a copy, just for reference. But as well as useful, the descriptions are beautiful, like poetry. It was a long book, but I didn’t want it to end. So, two books. One has taught me how not to write, the other an inspiration to aspire to. ← Belated Memories of a Pirate – and other deaths.